Someoddpilot designed these business cards for Clean Energy Trust (CET), a Chicago-based clean-tech accelerator that channels capital and data from big businesses and government agencies to emerging startups and technologies all around the country. In order to create brand awareness in- and outside of the clean-energy industry, CET approached Someoddpilot for their branding project. “To create CET’s identity, we reimagined what the future of energy looks like – part tech, part elemental, never static.  The branding is authoritative but also captures the spirit of the visionary, young entrepreneurs,” said Patrick Collins, the Brand Strategist of The Someoddpilot designing team. 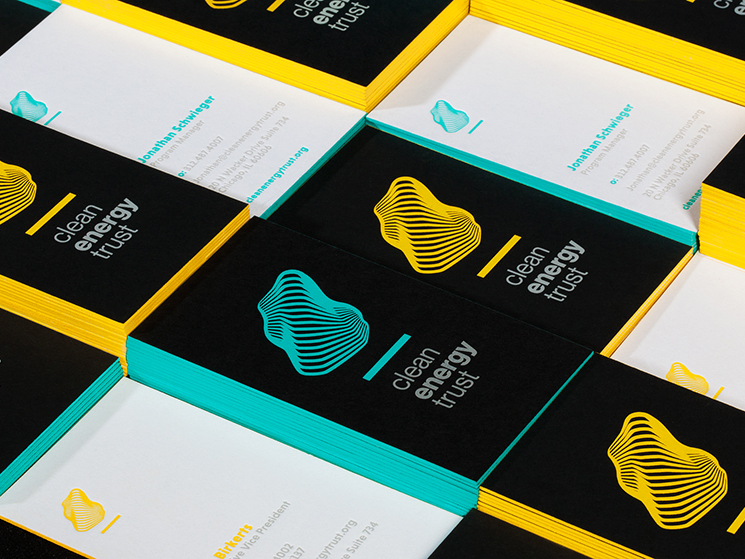 The visual identity amazes us with its futuristic design – the sharp illustration resembling energy wave and minerals; striking colours against a black background, along with bright colour edges – these vertical business cards are bound to wow the prospects while showing CET as the leading brand in its niche. Having a well-thought-out design is not enough. One needs to make sure that the printouts are properly done. Luckily, Someoddpilot knew what to do with them. “Mama’s Sauce printed the business cards using matte, heavy cardstock to give them some weight. The front of the card is screen printed with the super vibrant brand colours (two variations). All of the information on the back, including the small logo, is letterpressed. Edge painting on the sides adds the finishing touch, making the marketing collaterals really stand out,” Patrick said.